For capital markets firms, the C-suite sets the innovation agenda based on what it would like the end outcome to be. London, 6 December 2017 – Today, the marketing hype has died down a little and firms are engaging in a certain amount of re-evaluation of their innovation programs. Fintech buzz has evolved to encompass other areas of technology such as artificial intelligence and machine learning. But has the industry learned any lessons about failing fast, failing often, and then moving on? 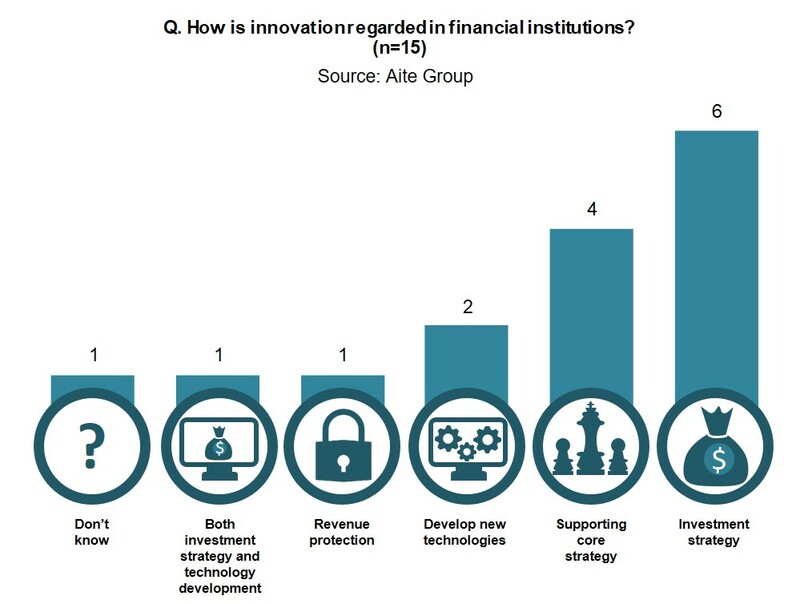 This report evaluates the capital markets’ progress in fostering innovation, including the various challenges that investment banks have faced in retaining talent and providing sustainable models for innovation governance, examines how innovation models have evolved, and explores whether the industry lexicon for innovation has matured. It is based on Aite Group interviews of market participants representing 15 European and North American investment banks conducted via telephone during the last half of 2017. This 41-page Impact Report contains 19 figures. Clients of Aite Group’s Institutional Securities & Investments service can download this report, the corresponding charts, and the Executive Impact Deck. This report mentions CB Insights, DTCC, Google, IHS Markit, Nasdaq, PayPal, and StartupBlink.